Students - Today's poem came about in a difficult way. Honestly, I could not decide what to write about. I rambled around in my notebook writing about everything from not knowing what to write to describing my cat to the grandfather I never knew to imagining an island full of horses. My notebook entry that led to this poem is completely scattered. But then I settled in. And how I settled into this topic, I am not sure. It may be because most of my shoes do come from secondhand stores, or it may because I was remembering a conversation I had over twenty years ago with Patricia MacLachlan. I was riding in an elevator with Patricia MacLachlan at Teachers College, Columbia University, helping her with her things as she prepared to give a keynote in the big auditorium. On that elevator ride, she told me about an idea she had for a book. It was an amazing idea for a book that she would not publish until over fifteen years later, and I thought about it often through those years. When EDWARD'S EYES was published, and when I read the description, I squealed at the reality of our conversation coming to real print life. I will not tell you what the book is about, but if you know it, you will see the connection to this poem. If you do not know this book, then you must read it. 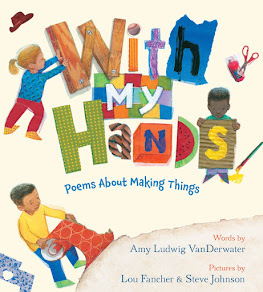 So maybe the poem comes a little bit from this book. It also comes from a popular expression, "You cannot understand another person until you've walked a mile in their shoes." I have written another poem from a popular expression - "You can't make a silk purse out of a sow's ear" - HERE. If you're ever feeling uncertain of what to write about, try thinking about books you have read or conversations you have had. Maybe make a list in your notebook of expressions. Ideas are everywhere...sometimes we just have to look into the corners of our atticminds to find them. 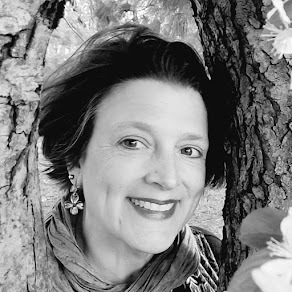 It has been such a pleasure to host science author Melissa Stewart over at my other blog, Sharing Our Notebooks, this month. If you have not read her post full of writing insight and notebook pictures, please stop by. From now through Sunday, if you leave a comment, you will be entered into a drawing to win three of Melissa's books. 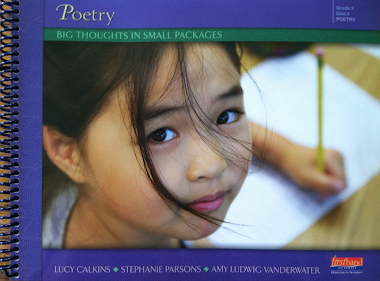 Catherine is hosting a this week's Poetry Friday roundup over at Reading to the Core. You will love the peek into Irene Latham's new book, WHEN THE SUN SHINES ON ANTARCTICA, and you'll also love the interview between Catherine and Irene. Don't ask me why I'm only just getting to it on Friday the 29th after a week off of school (oh maybe it's the Cybils judging), but I WILL write a "nothing" poem today and it will be a poem of expressions...thanks for the PM story; it's a goodie! Now, I want Patricia's book! 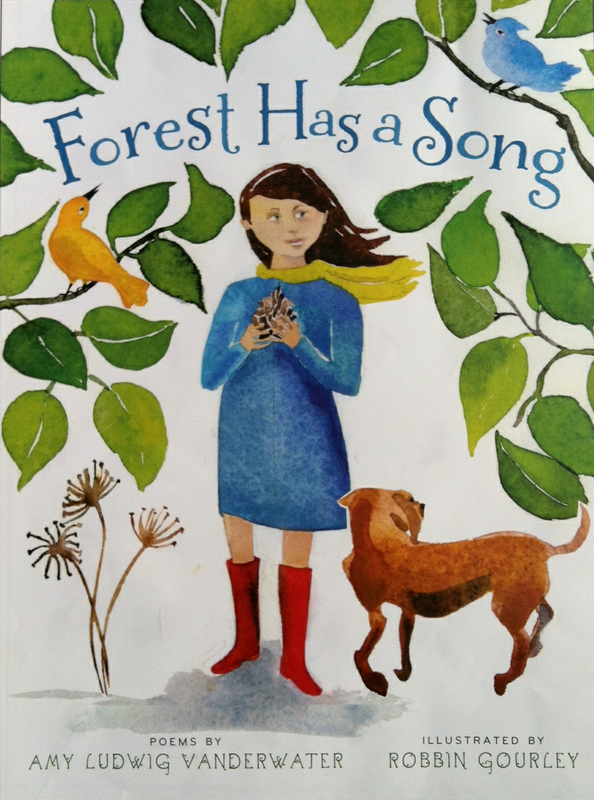 Isn't it astonishing how a story (or a poem) needs to sit awhile before making it to the page? 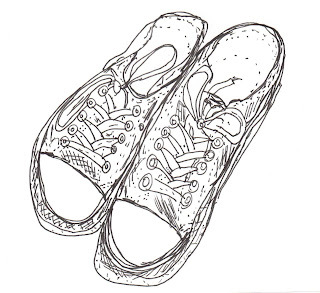 I loved the poem about wearing someone else's shoes. 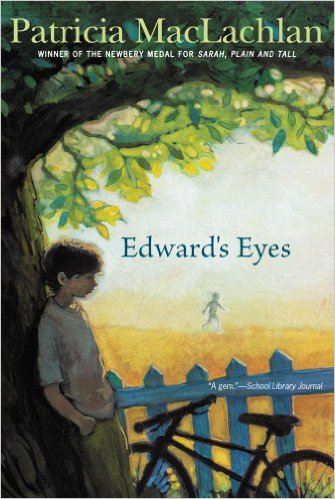 I linked to your blog in a post I'm putting up today and decided to check out Edward's Eyes to read myself. Your words speak to me and to many others too. Oh, how I love Edward's Eyes. And this poem. And imagining you in the elevator with Patricia MacLachlan hearing the germ of the idea for the book. 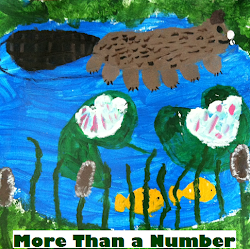 We are beginning a couple of weeks of collecting seed ideas in our notebooks in preparation for memoir writing. I am so looking forward to this both for my students AND for me!! 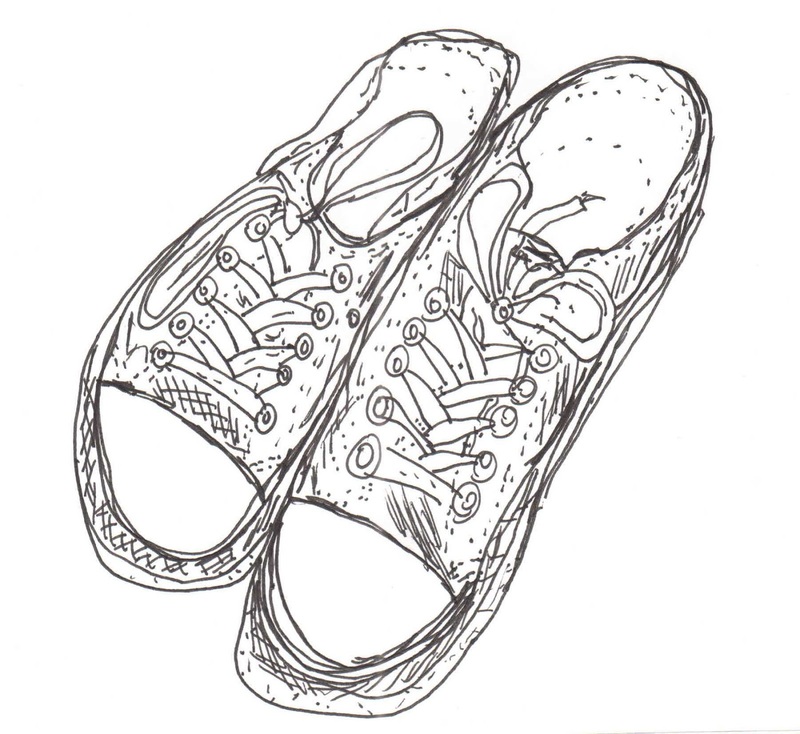 I love both of these poems, Amy, and the backstory of "Someone Else's Shoes." It's so reassuring to know that Edward's Eyes was at least 15 years in the making. It gives me hope!